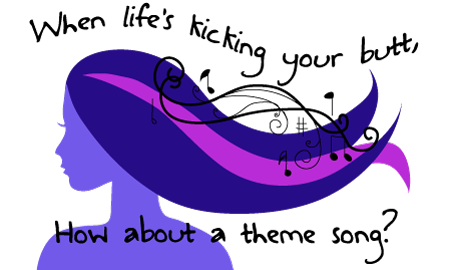 My friend Robyn from robgirlbooks tasked us with coming up with a theme song each month, and I love it! Music is a VERY big part of my life. Jennifer @ Donnie Darko Girl inspired this month's theme song challenge because the girl absolutely loves the Austin City Limits Music Festival. So check out the list and go nuts! Also, this month is Domestic Violence Awareness Month. I hope you all know what you're worth! Man, that Pearl Jam song. I will listen to your pick over and over. I don't remember where the Lorde song is in the movie and now I want to watch it over again to catch it. I want to add songs to my pick now, but I'll settle down. I hope you have a wonderful end of the week. Thursday...yay!!! YAY Glad you like it :D The Lorde one is from The MockingJay #1 that's not out yet...so be sure to listen for it when it's in theaters next month :D Have a great weekend!